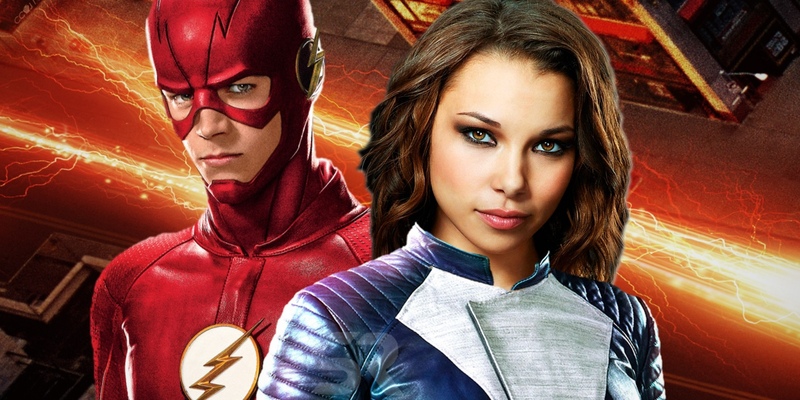 The Flash season finale may have revealed Iris and Barry's future daughter Nora, but it's Season 5 that may deliver the biggest shock. The makers of the TV show now have the opportunity to break new ground, with the future established in The Flash's first few episodes now thrown completely out the window. And not a moment too soon. When the series debuted, the heart, wonder, and intrigue made The Flash exceed even Arrow as The CW's superhero success story. And the mystery of the first Reverse-Flash made comic book fans rejoice. But soon, one superspeed villain followed after another. Just like one betrayal, one secret kept among friends, one struggle to control powers... you get the idea. Season 4 of The Flash seemed poised to address the issue, with a villain whose weapon was his mind, not an outward power. At least that's what fans assumed, until 'The Thinker' began absorbing powers, and was soon was blasting, teleporting, mind-controlling, and gleefully tenting his fingers as his 'master plan' unfolded like all others before. RELATED: The Flash's Season 5 Villain Revealed? The finale brought with it an Inception-esque twist, but once again put Barry Allen where he had been so many times before-- almost exactly where he had been in the Season 1 finale, in fact: diving headlong into a life-or-death gamble to save Central City. But if the team behind the TV show play their cards right, the opportunity has arrived to leave the last four seasons behind, and head into truly uncharted territory for The Flash Season 5. All thanks to Nora West-Allen's mistake. The Flash's Finale/Nora's Big Mistake? Before we dive into exactly how the next season of The Flash has been blown wide open, let's revisit that final scene of the season finale. The reveal of Nora West-Allen was one thing, but her concern over making a "big mistake" could be good news for fans. Over the course of the season Nora made a total of four appearances prior to her 'official' introduction which, while the result of time travel, don't seem to truly constitute a "mistake" on their own (unless attending her parents' wedding somehow caused an invasion of Nazi-Earth heroes). So it's easy to see why most fans will assume that her "mistake" comes in the action climax of both the episode and season preceding it. With the S.T.A.R. Labs satellite barreling out of orbit and straight at Central City, Barry and his friends calculate that its impact will mean countless deaths and massive destruction. The best theory Barry can come up with is to run to his absolute top speed, leap into the sky, and impart all of his energy into the debris - before it can devastate the city. The scientific difference of unleashing that kind of energy a few hundred feet above Central City is up for debate, but the show suggests that it's a worthwhile attempt. Just as Barry closes his fist and delivers the punch, unsure of whether he can survive the impact, or if this will even save the day. And at just that moment, time freezes, rewinds, and rolls forward once more. This time, with Nora running beside her father to deliver her own supersonic punch right alongside him. Sharing the impact or doubling the energy, the result is a day saved, and Barry Allen back with his family to celebrate... including his daughter. Who, as we know, has just made a very big mistake. Weighing the evidence - Nora seeming particularly flustered to meet her father, telling Joe and Cecile that time is precious, etc. - the simplest deduction is that Barry originally died saving Central City with his superspeed punch. Examining nothing else, the fact that Nora offering help is treated as a change to the timeline seems straightforward enough. Nora traveled back in time, interfered, and everyone walked away happy. But then, she's still Barry Allen's daughter... and would know better than most that messing with the past is always dangerous. Stepping in to make sure a superhero wasn't killed or wounded decades in the past? That more than qualifies as a BIG mistake. For the characters and fictional future of the TV show, at least. But for the fans? Nora West-Allen's mistake means the next season of The Flash is finally free to become something completely new.